4/5 Conventional CBSE school. Most of the seats are reserved for Powergrid employees. School is in Budget of middle class families. Website has not updated from many years. 2/5 Very average school. No focus on security or safety, no parent involvement and very less focus on being child friendly. Most of the teachers do not have good communication skills and no hygiene at all. 3/5 My daughter goes to Nursery in Amity International Power Grid. it is a CBSE school with proper balance between academics and extra curricular. It is like regular schools of Delhi. Has a good mix of kids as 70-75% seats are for powergrid employees kids. Too early to comment as my kid started nursery this year. So far the pressure is not much as she finishes her homework on her own. Amity International school fee is one of the lowest compared to other Gurgaon schools that comes out to approximately @13K quarterly. 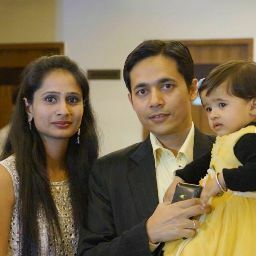 Popularly referred to as Amity School Sector 43, Amity International School Sector 43 Gurgaon offers Nursery, Kindergarden, Primary School, Middle School and High School and is affiliated to CBSE (530460). This Private Co-Educational School in Gurgaon was founded in 2003 and is located in Sector 43. Checkout AIS Sector 43 Gurgaon's exact location and address at the school pointer on the map section. Raji and 11 other people have rated this school. 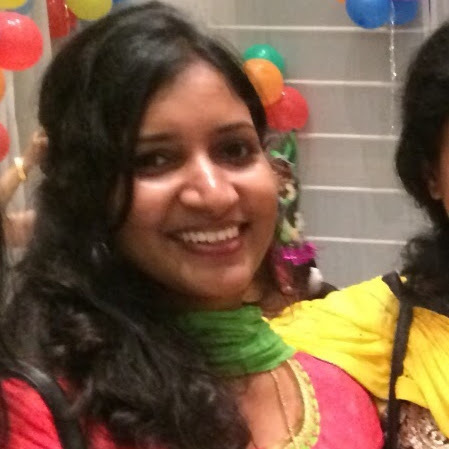 This school was last reviewed on 4 Apr 2019 and first reviewed on 8 Mar 2015 at SchoolWiser. The overall experience with Amity School Sector 43 based on the ratings left by users so far seems to be fair but the sample size of the ratings is insignificant. The ratings suggest that the school offers a lot in terms of the Overall Cost. It also scores reasonably on Cost Transparency, & Academic Rigour. Though parents may seem to have some reservation over Food. 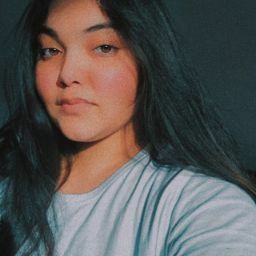 Checkout detailed ratings and reviews below for reference but do exercise your best judgement. The child needs to be minimum 3 Years Years as on 31 March 2019 to be eligible for Nursery admission. School Admission applications can be made Online on the school website. New academic session for the school starts from April. You can find further details below for reference on admission eligibility and application for Nursery and Higher Grades in the section below, but we strongly recommend that you check the school website for most accurate and up-to-date information. 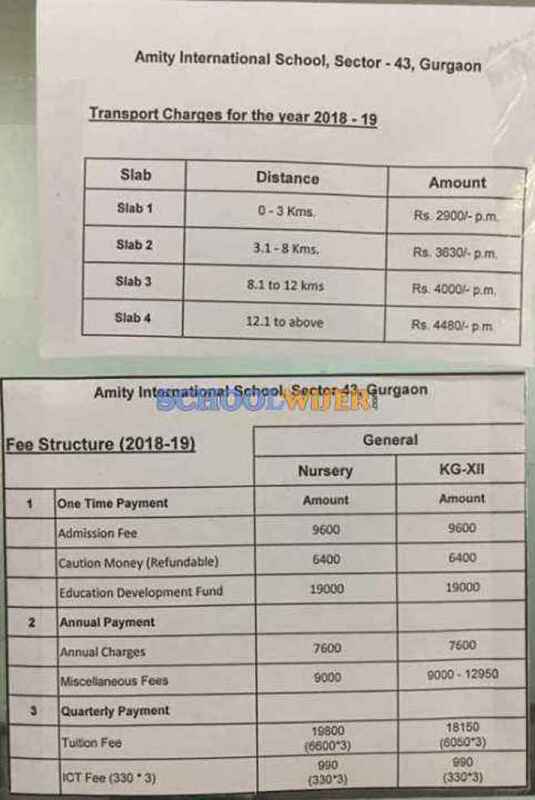 A detailed fee structure & complete breakup for Amity School Sector 43 is provided below for reference. The objective of the fees details below is to provide an economic reference point for parents to understand approximate expense for this school and evaluate affordability based on their current circumstances and for the long term. 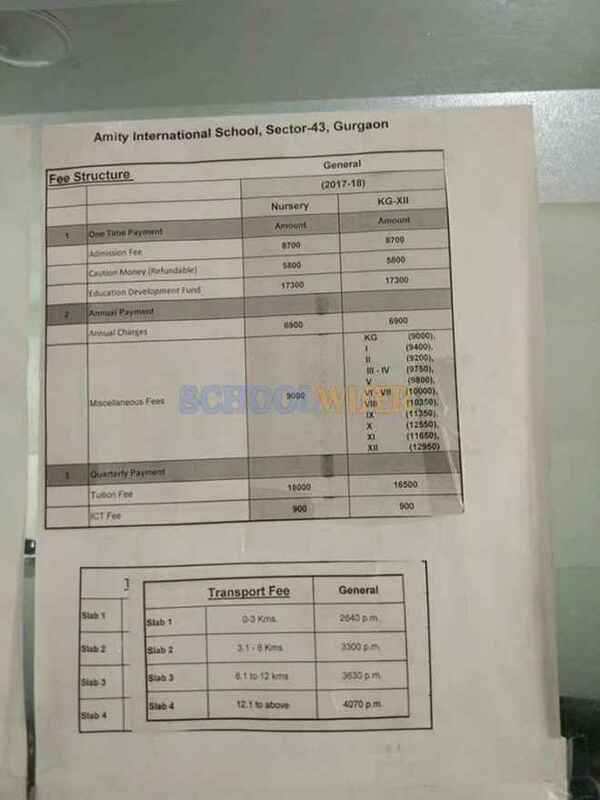 For parents admitting their children in admission session 2018-2019 at AIS Sector 43 Gurgaon the total school fees for the first year including all admission related charges for Nursery but excluding transport fees shall be around Rs.1,34,760. This includes total One-Time Admission related Charges including Refundable Security of Rs.35,000. For parents continuing in the school from previous years, the effective annual fees is around Rs.99,760 i.e. approx. Rs.8,313 per month or Rs.24,940 per quarter without transport fees. The school observed an overall fee increase of approximately 9% from the 2017-2018 session. SchoolWiser is usually one of the first places to look for breaking news on schools. Amity International School Sector 43 Gurgaon was most recently in the news for School bus with 35 students on board catches fire near HUDA city centre. Get all the latest news and updates at SchoolWiser. Below we have aggregated relevant recent, ongoing & past news articles from leading publications such as HT, The Indian Express, Business Standard and TNN for Amity School Sector 43. The schools news links shall take you to originally published articles on external news sites.